Would you go into battle naked? I don’t want to imply weight loss is going to be a struggle/battle because if you keep a Mind, Spirit, Body focus it won’t be. But once you get out of bed in the morning and pick up the newspaper, turn on the radio or switch on the TV you are on the battlefield. Thousands of marketers are hunting for you and their weaponry is intelligent psychology, which weakens your self-image and self-esteem and then swoops with the killing blow when they have you on your emotional knees. If you continue about your life like the innocent bunny in the hunter’s scope, the self-image and self-esteem erosion will continue and your weight issues will grow, literally. However, now we have analyzed the battlefield and reverse-engineered the weaponry used against us, we are in a much stronger position. So, we can either hide out in a bunker for the rest of our lives, or forge armor from the impenetrable emotions of worthiness and self-love and enjoy your life, unaffected by the brutal propaganda inherent in our consumerist society. In this more natural state of high self-image and high self-esteem, achieving your weight loss goals and maintaining them will be much, much, much easier and faster than you ever experienced before! Let’s talk about the multi-dimensional quality of weight loss. 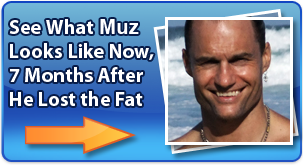 The biggest mistake most weight loss program creators make is over-simplifying the process of safe, rapid and long lasting weight loss. Simplicity is often used as the selling point but in reality ‘simplicity’ for the sake of simplicity alone is a silly philosophy which short sells the customer. If simplicity were an ingredient to effective weight loss, then it would make complete sense. But the body is so incredibly complex that even after many centuries of study, science is still a long way from fully understanding how every process works and why it happens. Weight gain is a multi-dimensional process, and therefore, so is weight-loss! Weight gain is the result of a myriad of inter-dependent systems, processes and events with a great deal of overlap between all of them. Reducing it to diet and exercise alone is an insufficient explanation. The danger of reducing it to these 2 elements, is the solution will be designed to fit the perception and many of the real causes and contributors will go unchecked and continue to make weight loss an arduous struggle with little hope of victory… despite the sincerity of your efforts. So, in order to get serious, we have to get scientific. While many parts of the human animal remain a mystery we certainly know enough to equip you with all the weapons you need for safe, rapid and long-lasting weight loss. If you feel like reaching through the fabric of time and space to slap-me-up-the-side-of-the-head for my preference for complexity, I understand. But let me explain why I’ve chosen to do it this way. Chipping away at an obstacle with only two tools at a time when you have many more at your disposal, which really do not require any more effort, is craziness. Neglecting them under the guise of “keeping it simple” does not make use of the leverage you have available. Why have six strong men available to landscape your garden but then only have two of them do the work while the other four stand by idle? They are there irrespective, so leverage their presence by putting them to work and get the job done better and faster. Don’t be afraid of complexity. I went to lengths earlier to explain the importance of addressing body, mind and spirit when attempting weight loss. While mind (self-image) and spirit (self-esteem) can probably be further dissected to the nth degree, I think for the sake of weight loss we have refined them enough in earlier sections. 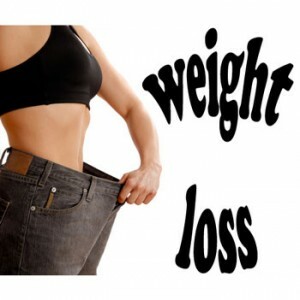 But the Body aspect of weight loss is certainly not fully represented by diet and exercise alone. In understanding and then managing each of these, we maximize the leverage you have over your body in terms of safe, fast and long lasting weight loss. Let’s not go into battle naked!